I love reading the Economist from cover to cover. Their Middle East coverage can be especially good, even if I sometimes disagree with their editorials. The way the Economist really writes the news makes a more lasting imprint on my mind than other media. I always envy the pithy puns in the headlines, too. In the 30 January edition, however, I found that it had fallen prey to the more subtle and often inadvertant problem that I often dealt with as a reporter in U.S. newspapers – omission. The 2-1/2 page article, the showcase of the International section, laid out plausibly effective measures to counter al-Qaeda. 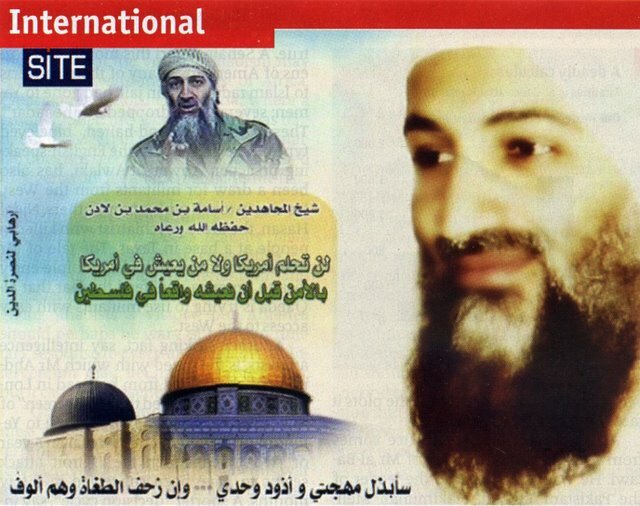 Three lines did quote Osama bin Laden saying he’d fight on until the U.S. dropped its support of Israel, but mostly passed over the way so many of the main actors in al-Qaeda say that what first pushed them into the group or its way of thinking was anger over Israeli policies towards the Palestinians. These include Mohammed Atta and Khaled Sheikh Mohammed of 9/11 notoriety, or the recent bomber of the CIA in Afghanistan, Humam Khalil Abu-Mulal al-Balawi, at least according to the testimony of his Turkish wife. In Dining with al-Qaeda, I also recount how mayhem in Israel-Palestine overshadowed a visit I made a few days after Sept. 11 to the home of one of the pilots, Marwan al-Shehhi, in the Gulf sheikhdom of Ras al-Khaimah. Bringing up the subject is not to justify the terrorist acts of these people, or the warped way in which such groups brain-wash their adherents before sending them to kill and be killed. But one of the points I try to illustrate in Dining with al-Qaeda is that as long as we refuse to acknowledge and deal with problems that fill the swamp of frustration and anger from which al-Qaeda has emerged, nobody will be able to settle the problems that result. So for once I gathered myself up and wrote to a letter to the Economist. To my astonishment they printed my letter, as below, on 27 February. They even used my suggested headline. Al-Qaeda may be duplicitous in exploiting Muslim opinion about the West’s bias towards Israel, but the West would be imprudent to pass over the real anger provoked by unbalanced support for Israel. Al-Qaeda militants have often said their first steps were motivated by a desire to exact revenge for Israeli actions. So how about promoting a sixth P to plug the flow of recruits to such groups: peace, through fair play in the Middle East? That way, the plosives might indeed begin to overpower the explosives.